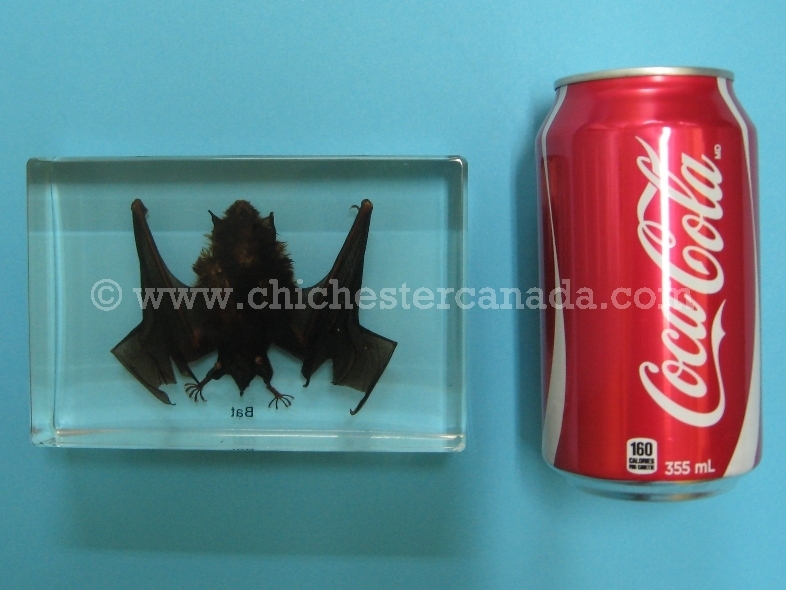 These are real Japanese house bats encased in acrylic. They come in a lined box. 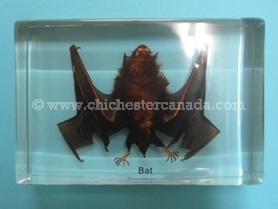 These bats have body lengths of 3.5 to 5 cm and wing lengths of 3 to 3.5 cm. They are found throughout East Asia. 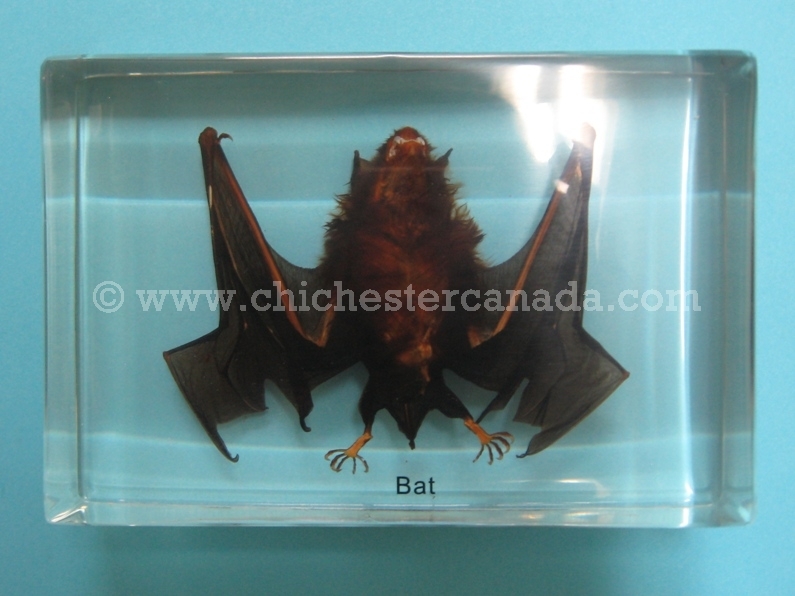 These bats prefer to roost under the ceiling or inside the roof of buildings.